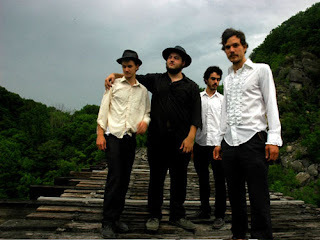 Our friends at Ticket Alternative set us up with a few Felice Brothers tickets for Monday night's show at The EARL. Gil Landry from Old Crow Medicine Show is opening up the bill that night, and we know how many of you are nutty for those two acts, so make like tree and get in here to sign up! (That's how that saying goes, right?) All we need is your first name and phone number. And hey, if you make with the quickness (IE: Saturday afternoon, which is the moment this is being written), you might even get a free beer out of the deal. Do it.